VIDA Tequila announces the much anticipated launch of its ultra premium brand in the New York and Chicago markets. Miami, Tennessee and New Jersey arrivals are scheduled for later this quarter. VIDA, a family-owned company, combines the traditional tequila- making process with modern and efficient methods of production, blending ultra-premium tequila unlike anything else on the market. VIDA is distilled in the fifth largest distillery, by capacity, in the world. During the distillation process, VIDA tequila separates and discards both the heads and the tails of the agave plant. 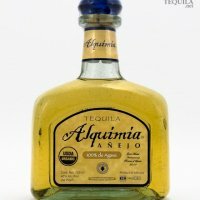 Most tequilas on the market today discard only one or the other, due to time and costs constraints. This is the secret which allows VIDA to be placed into the ultra-premium category. HEADS. At the distillery, the top portion of tequila, the "heads" is removed, which is the unpleasant tasting compound similar to the metallic taste found in many other tequilas. HEART. During the second stage of distillation, the most pure and flavorful part of the agave emerges, "heart" of the pina, resulting in the ultra premium taste and rich flavor. TAILS. The final part of the distillation process removes unpleasant characteristics, such as ethanol, which often causes headaches and hangovers. Merging the balanced essence of the purest agave and the best wood, VIDA Anejo is aged in French Oak barrels for up to 24 months and is triple distilled. Rich and clean, the smooth flavor demands the respect of the most critical connoisseur. Stunning in scent with a smooth and strong body, VIDA Reposado is aged in American White Oak barrels for up to six months, which brings out its sweet and smoky flavor with light citrus undertones. The complex agave tones mixed with oak dominance create a delightful aftertaste. This crystal tequila is created by double distilling the agave, which creates smooth undertones. Not mixed with any other flavors or put through an aging process, VIDA Blanco is true to the distinguishing flavor of pure agave. All VIDA bottles are washed in its style of tequila to avoid modification and the bottle topper is made of oak, not cork, from real oak barrels. Bottle necklaces are made from 100 percent silk and a brushed silver coin is embossed with the VIDA icon. Each bottle is hand-blown by Mexican craftsmen into the authentic Mexican tequila bottle shape, enhanced with a feminine long neck. The white, custom-made box merges traditional Mexican craftsmanship with modern design and the VIDA logo is embossed for a luxury, ultra-premium feel. To continue to build its brand image and create a timeless, ultra premium tequila atmosphere, VIDA developed VIDA VIP Lounges for exclusive and celebrity guests. The décor creates a luxury tasting experience, featuring white modern furniture and crystal chandeliers. The lounges have been featured at the Sundance Film Festival, New York and Miami events. Celebrities that have been seen in the VIDA Lounge include: Teri Hatcher, Star Jones, Jamie Kennedy, Cuba Gooding, Jr., Diddy, Ryan Cabrera, Lil Jon, Pharrell Williams, Nelly and Sienna Miller. Lisa and John Barlow, owners of VIDA Tequila, are some of the youngest owners in the tequila industry today. The Barlows bring entrepreneurial experience in real estate and startups to break into the new market of ultra premium tequilas, with a fresh twist. "We are going to expose consumers to a new level of tequila they haven't experienced before. VIDA will change the way consumers perceive tequila," said John Barlow, CEO. VIDA Tequila is distributed by Charmer Sunbelt Group, one of the nation's leading distributors of fine wines, spirits, beers, bottled water, and other non-alcoholic products. Empire Merchants distributes VIDA in New York City and Distinctive Wines & Spirits, LLC, distributes VIDA in Chicago. Both are members of the Charmer Sunbelt network. "We are very excited to launch VIDA Tequila in New York. As the tequila category continues to rise, VIDA is positioned to do extremely well as it is a high quality luxury tequila that appeals to the consumer who wants the best," states Fedele Miranda, President of Empire Merchants. VIDA is properly authorized by the Mexican government, as well as by the Tequila Regulatory Council, to operate under the Norma Oficial Mexicana (NOM) 1460. VIDA Tequila is the only tequila in the United States market that the Mexican Government will allow to have tequila in the brand name. VIDA Tequila is kosher and carries the official kosher seal on the bottle. VIDA Tequila distinguishes itself from other tequila brands by offering their website in both English and Spanish. For more information on VIDA, visit http://www.vidatequila.com .